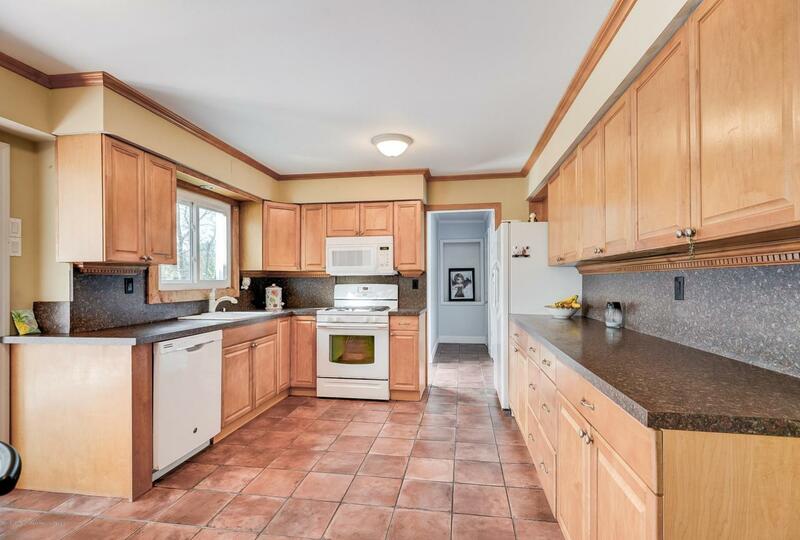 PERFECT Opportunity to live in DESIRABLE CLOVER HILL section of Colts Neck! 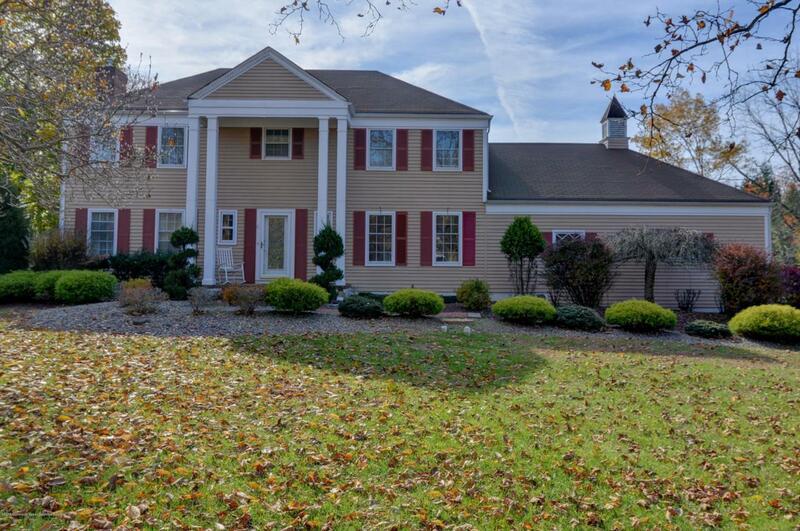 This 4 Bedroom, 3.5 Bath Colonial Located on .93 Acres boasts Eat in Kitchen w/FULL Appliance Package. 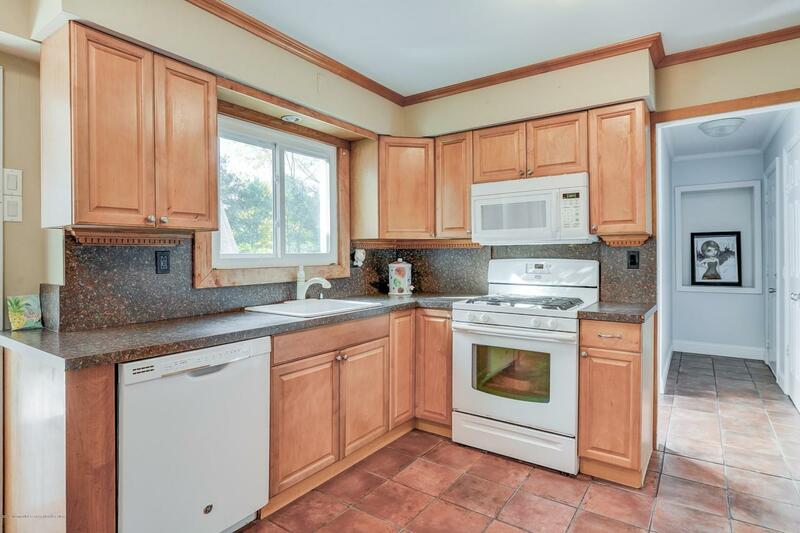 Home Features HARDWOOD Floors, Decorative Moldings, LARGE Family Room with WOOD BURNING Fireplace. Relax in the BEAUTIFUL 18 X 15 Sunlit 4 Seasons room which overlooks the LOVELY yard featuring a Multi Tiered deck & Fenced IN Ground GUNITE Pool. Full FINISHED Basement. 2 Car Side Entry Garage. This Home is Priced to Sell and is waiting for the Next buyer to come & make it their own! Listing information © 2019 Monmouth-Ocean MLS. 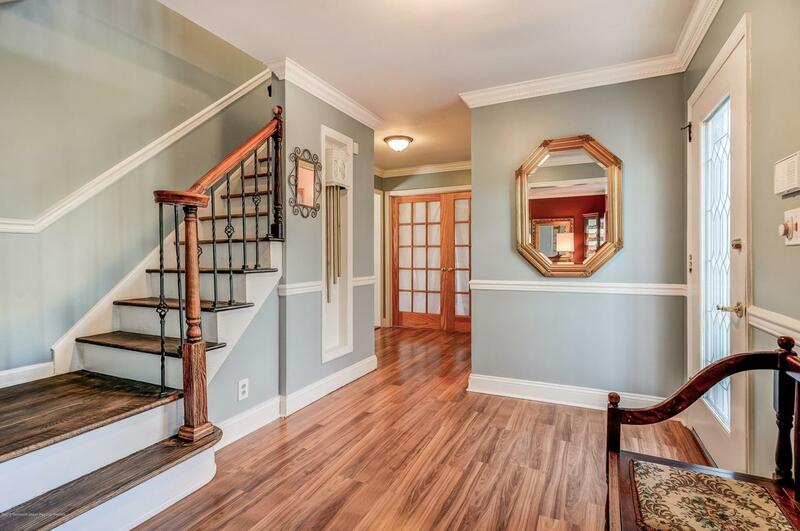 Listing provided courtesy of Julie Lurie Warren of C21/ Mack Morris Iris Lurie.